The University of Auckland (Māori: Te Whare Wānanga o Tāmaki Makaurau) is New Zealand's largest university. Established in 1883 as a constituent college of the University of New Zealand, the university is now made up of eight faculties over six campuses, and has more than 39,000 students at April 2006. Over 1300 doctoral candidates were enrolled at the University of Auckland in 2004. It offers a wide range of programmes including Arts, Business, Education, Music, Teacher Training and Special Education, Architecture, Planning, Nursing, Creative and Performing Arts, Theology, Science, Information Management, Engineering, Medicine, Optometry, Food and Wine Science, Property, Law, Fine and Visual Arts and Pharmacy. It also provides the most conjoint combinations across the entire nation, with over 35 combinations available. Conjoint programs allow students to achieve multiple degrees in a shortened period of time. 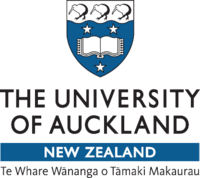 The University of Auckland was formally opened on 23 May 1883 as Auckland University College, part of the University of New Zealand. A disused courthouse and jail served as premises for the 95 students and 4 teaching staff. The roll increased slowly but steadily during the remainder of the 19th century; by 1901 it had risen to 156 students. Most students were enrolled part-time, training as teachers or law clerks, although after 1905 the number of commerce students rose markedly. During this time, the University focused on teaching: research was not expected, and was rarely performed by teaching staff. Nevertheless, some students carried out impressive early research, most notably in chemistry. A surge of interest in academic research at the University arose during the depression of the early 1930s. A lecturer in history, J. C. Beaglehole, had his temporary position terminated; friends believed this was because of a letter he wrote to a newspaper, defending the right of Communists to distribute their literature. This led to a Council election in which a liberal candidate displaced a conservative member, and Council gradually began to adopt resolutions in favour of academic freedom. The College subsequently "came alive". For instance, a group of students, led by James Bertram, established a new literary journal, Phoenix, which became the focus for the first literary movement in New Zealand history. The University received a further intellectual stimulus in 1934 when four new professors arrived. H.G Forder (Mathematics), Arthur Sewell (English), C. G. Cooper (Classics) and James Rutherford (History) all led the way in establishing Auckland University College as an internationally respected research institution. The 1950s were a difficult period in the history of The University of Auckland: the roll had soared after World War II, reaching 4000 by 1959, and buildings were inadequate and overcrowded. However, despite these problems, there was significant progress. In 1962, the abolition of the University of New Zealand saw the University finally become independent. New subjects such as Geography, Anthropology, Maori Studies, and Fine Arts were introduced, and there was a new focus on staff research. Many of the new and younger academics became very active researchers, as evidenced by the growing lists of staff publications. Staff salaries were raised and for the first time students were given generous bursaries, resulting in a rapid increase in the proportion of full-time students. The University undertook a massive building programme, and over the next two decades the campus was transformed as one large building after another was erected. By the end of the 1960s The University of Auckland had the largest university library in New Zealand. New teaching subjects were introduced, including Political Studies, Art History and Sociology, and in 1968 teaching commenced in the new Medical School. The academic boom of the sixties continued well into the seventies, and by 1970 there were 9300 students. Council focus shifted to a desire to increase student facilities, which ultimately resulted in the acquisition of a theatre, a large gymnasium and recreation centre, and a playing field complex. The University was also quick to accept the challenges of new technological advancements of the era, introducing new subjects such as Management Studies and Computer Science. The 1970s also brought numerous social changes, such as an increase in the proportion of Maori and Polynesian students and the numbers of female and mature students. In the years 1975-81 the first two female professors were appointed: Marie Clay and Patricia Bergquist. By 1986, the roll had climbed to 13,000. Anxious to respond to a demand for University education, The University of Auckland began to offer courses at Northland Polytechnic, Manukau Polytechnic and at the Auckland College of Education. Acquiring buildings from the Commonwealth Games Village, the University also began to develop a campus at Tamaki, initially offering courses in commerce, and then in arts and sciences. The period of intensive new construction, begun in the 1960s, drew to a close with completion of the new School of Music in 1986 and the Marae complex in 1988. Education and the Law School moved into a new precinct in 1992. 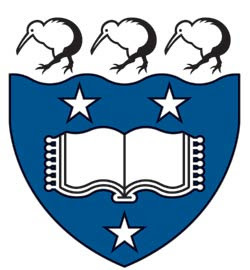 Today, The University of Auckland is the largest university in New Zealand, hosting over 40,000 students on five Auckland campuses, with a School of Theology, and eight faculties representing each of its main disciplines: Arts, Business and Economics, Creative Arts and Industries, Education, Engineering, Law, Medical and Health Sciences, and Science. Almost all teaching staff engage in research which attempts to advance the frontiers of knowledge and understanding, and around 5000 students are enrolled for postgraduate studies, 1200 of whom are undertaking doctorates. The University has continued to improve its facilities, with a new information and student commons complex already complete on the City Campus; new teaching and research spaces at Tamaki Campus; and a new state-of-the-art home for the Business School recently completed. The University Arms (crest) were granted by Letters Patent on 15 February 1962, and are recorded in the College of Arms, London. The open book with seven clasps on either side, and the three stars express the idea of learning pursued under the sky of the Southern Hemisphere. The kiwis signify New Zealand; the wave beneath them represents Auckland's coastal location. 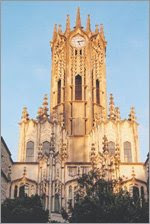 The University's motto is: "Ingenio et Labore". Freely translated from the Latin, it means "by natural ability and hard work". The City campus, in central Auckland, has the bulk of the students and faculties. It covers 160,000 m². The Tamaki campus, established in 1991, covers 320,000 m² in the suburb of Glen Innes, 12 km from the City campus. The degrees available here are based on Health, Sports Science, Environmental Science, Wine Science, Information Technology, Communications and Electronics, Materials and Manufacturing, Food and Biotechnology and Information Management. The Medical and Health Services Campus, established in 1968, is located close to the City Campus in the suburb of Grafton, opposite Auckland City Hospital. The Faculty of Medical and Health Sciences, School of Pharmacy and Department of Optometry are based here. The North Shore Campus, established in 2001, was located in the suburb of Takapuna. It offered the Bachelor of Business and Information Management degree. At the end of 2006, the campus was closed and the degree relocated to the City campus. 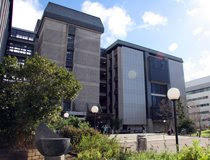 On 1 September 2004, the Auckland College of Education amalgamated with the University to form the newest Faculty of the University (by merging the School of Education (previously part of the Arts Faculty) and the college). The faculty is based at the Epsom Campus of the former college with an additional campus in Whangarei. well there are a lot of courses available. Which field are u interested in??? IS IT GOOD FOR PURSUING MS IN INFORMATION TECHNOLOGY HERE?WHAT IS THE GRE AND TOEFL SCORE REQUIRED? WHAT IS THE OVERALL COST FOR TWO YEARS?IS SCHOLARSHIPS PROGRAM AVAILABLE HERE?